Each time your young child sees you spend money or use the ATM, she is building an understanding of what money is. You can guide that understanding with simple activities about making good choices; what has value; and spending, sharing, and saving. Over time you'll see that, through everyday conversations and fun activities, you can help your child grow up to make good financial decisions. Each time your young child sees you spend money or use the ATM, she is building an understanding of what money is. You can guide that understanding with simple activities about making good choices; what has value; and spending, sharing, and saving. Over time you'll see that, through everyday conversations and fun, you can help your child grow up to make good financial decisions. When your child makes a choice, it helps build her self-confidence. It also prepares her for understanding the tough money choices she will face as an adult. Encourage your child to think about her choices by asking simple questions such as, “Why did you choose to wear your raincoat today?” Try to include your child in some of your decisions, and create opportunities for her to make choices of her own. Watch and Do: While at a store, ask your child to make a shopping choice for herself, such as deciding which of two backpacks to buy. Help your child understand how important something is, or its value, by talking about her own preferences. Ask, “What makes your favorite teddy bear so special to you?” The way she feels about something can help her decide what it is worth to her. 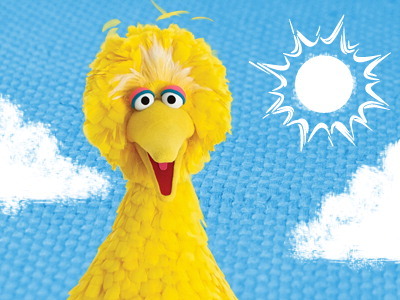 Encourage your child to talk about a valued toy, person, or place, and why it’s important. Be sure to remind your child that the items that have the highest value, such as family and friends, don’t cost anything at all! 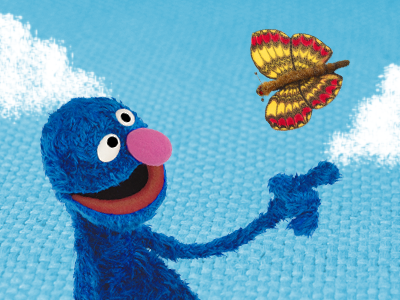 Watch and Do: Remind your child that something you value is something important to you, in the same way that Ernie values his Rubber Duckie. Together make a collage of all the people and places she values. Your child can start to learn that things have various costs and people need money to pay for those things. During a trip to the store, introduce him to some basics about the value of money: Point out the price tags on different items. Explain that the items people spend their money on have costs (shown on the price tags) as well as value (what they’re worth to people). Let your child know that if your family doesn’t have enough money for the cost of an item that you all value, you can save money to buy it later. Watch and Do: Play pretend store together! Take turns playing the role of the customer and cashier. 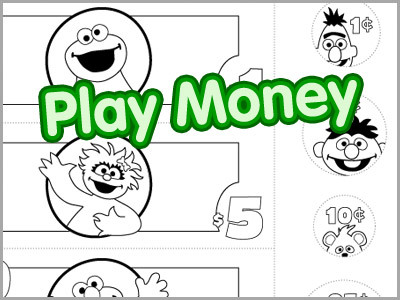 Download and print the Play Money Reproducible to use when you play. Although children are often asked, “What do you want to be when you grow up?” they need help understanding that people work hard at their jobs to earn money. Around your community, point out the workers you see and the type of job each has. Talk together about how people use the money they earn to buy the things they need and want. Explain, too, that when people do a good job, they not only get money—they feel proud and happy. Watch and Talk: Talk with your child about the jobs that she saw in the video. Ask, “Do you know anyone who has any of those jobs?” and “What other jobs do you know about?”. Waiting is a difficult skill to practice at any age, but it’s especially hard for young children. Try starting with a simple goal that your child can achieve over a short period of time. Once he masters simple goals, like saving to buy a small treat, try setting larger goals that require saving over longer periods of time. Understanding that sometimes he needs to wait to get what he wants can help your child learn to save for important things later in life, such as a car or higher education. Watch and Do: Put a little money every day into a savings jar to show your child how to save over time. Every time you save up to a certain small, new amount, celebrate by doing a fun I Can Save dance! You can help your child understand that spending, sharing, and saving are three important ways people make choices about money. With your child, gather three clean, clear jars (or any clear containers you have) and label them Spending, Sharing, and Saving. Have fun decorating the jars with stickers, paints, and even pictures that represent what she is saving for. 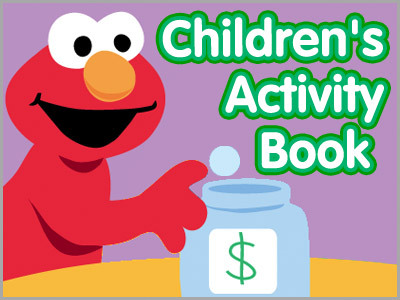 Help your child set goals for what to do with the money in each jar. 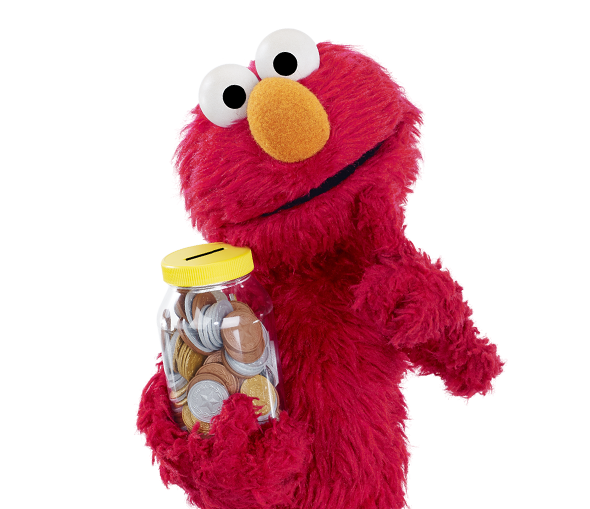 As you add spare change or gifts of money, let your child watch her jar money “grow” over time. Watch and Do: Download the 3 Jar Labels and decorate them with your child. Encourage her to talk about what she plans to do with the money she puts in each jar. Let your child know there are ways to give to others that may—or may not—involve money. Your child may donate some of the money he has saved. Or he can give away his outgrown, gently used clothes and toys. He can also share his time and the things he’s good at. For example, you might find out if your local park has a cleanup day and volunteer together. When children become aware of people talking about money, they ask lots of questions because they are curious and interested. Keep such conversations going throughout your day. When paying your bills online, let your child know what you are doing, or if you are at the ATM, explain to that you are saving your money by putting it in the bank. Developing financial skills is an important part of every child's education, and chances are children in your program are already doing this. 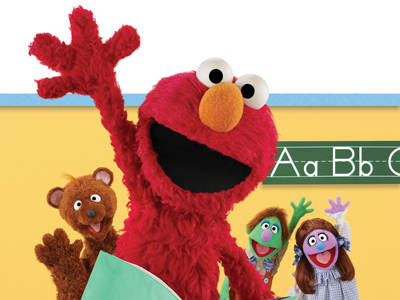 Every day, children are making choices and learning that people, things, and money have value. These concepts continue to form the foundation for understanding the importance of spending, sharing, and saving. 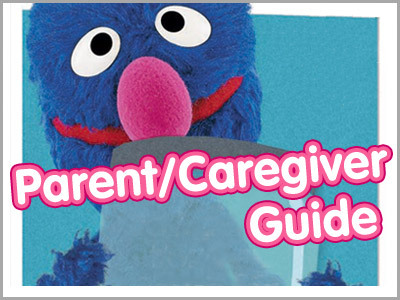 Whether you're in an early childhood program, family child-care program, or school setting, this guide offers simple, fun activities that can easily fit into your daily routines. Learning to make good choices leads to making thoughtful decisions about money. In your program, children are already making many choices. They can choose an activity during free play, select which crayon colors to use, and decide how many building blocks to use. Through modeling, group discussions, and simple activities, you can help children become aware of how and why they are making certain selections. 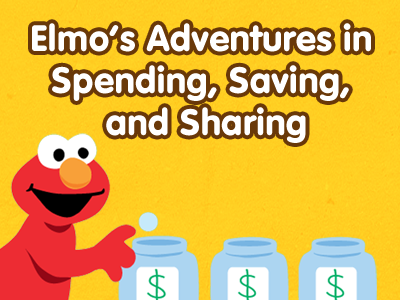 This awareness can guide them as they grow up and begin to make choices about spending, sharing, and saving money. Money is a regular part of young children's lives. 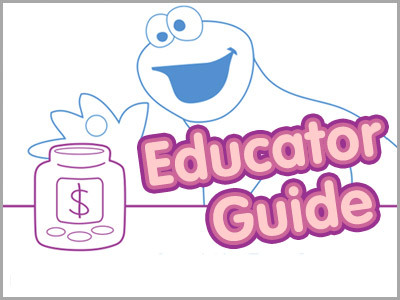 As an educator, you can help children understand more about money by exploring the ideas of spending, sharing, and saving — basic skills that help people make choices about money. Practicing these skills now will help children learn to be financially responsible with their money as they grow up. Recognizing the value of things helps children understand what something is worth, or how important something is. It can also help determine how much a person is willing to pay for an item. Children can understand this concept early on because they already have items they value, such as a treasured teddy bear. They can begin to understand the way other people value things, too. There is also value in working hard and earning money. You may already be exploring this idea through teaching children about community helpers. For Me, for You, for Later: First Steps to Spending, Sharing, and Saving, is a bilingual multimedia program created to help families share experiences in developing financial basics that will impact their children now and in the future.